We aren’t all lucky enough to have green thumbs, in fact, there are many of us that have black thumbs. But, that shouldn’t scare you from having a little bit of fresh greenery in your home. There are some solutions. Succulents are easy-to-please plant and can survive indoor conditions with very little effort. They have fleshy leaves, thick stems and come in a wide variety of shapes and shades of green. 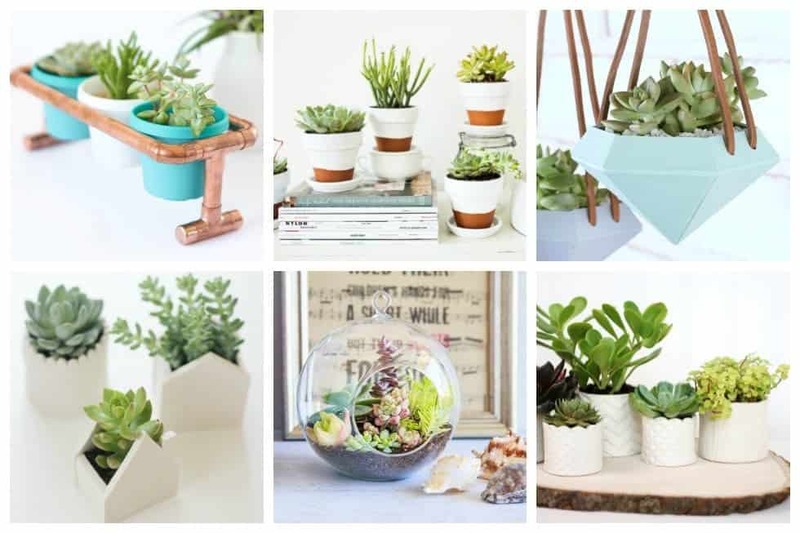 If you’re looking ideas for making beautiful and quirky planters to house these gorgeous plants, then the following 17 easy DIY indoor succulent planter ideas may be just what you’re looking for. Once you have these beautiful plants in your home, you’ll wonder why you ever fussed with any of those diva-link high maintenance plants. 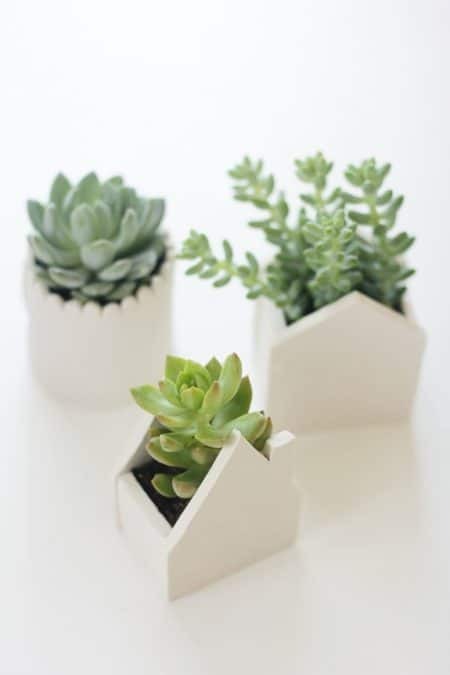 These handmade clay pots are the perfect vessel to house a succulent for your home or as a pretty and thoughtful gift. 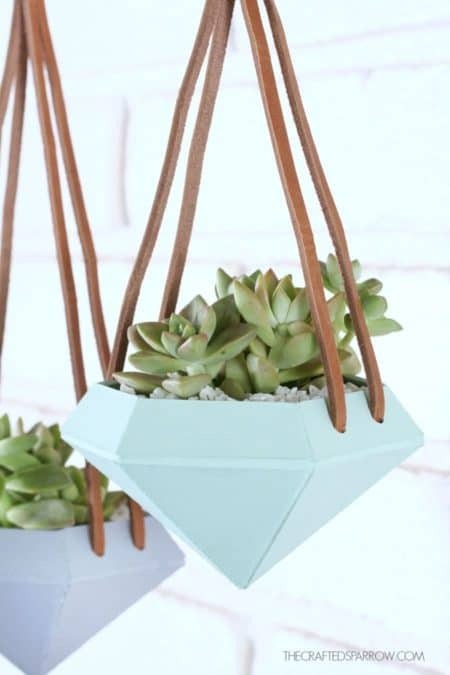 These Diamond Hanging Planters are a unique way of displaying succulents and they are so easy to make. 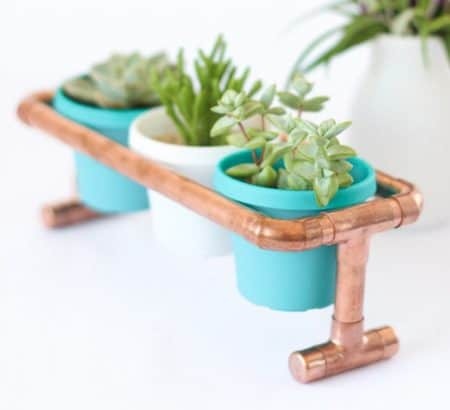 Make this simple DIY pot plant holder using copper pipe. It is seriously so easy. 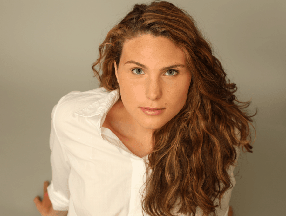 You’ll want to make everything with copper pipe! 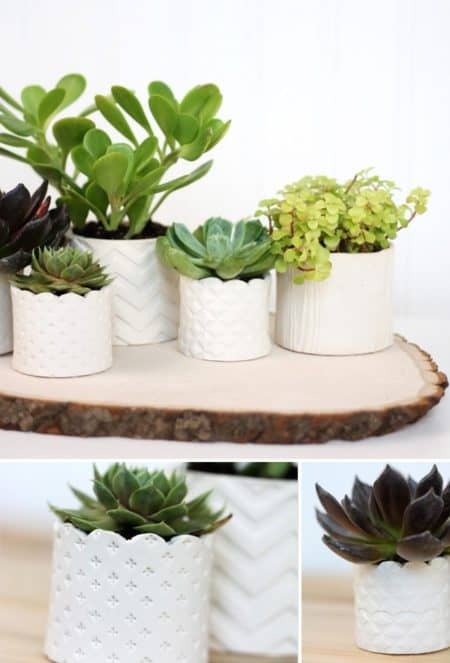 Follow this simple stamped clay pot DIY to beautifully display your succulent collection. 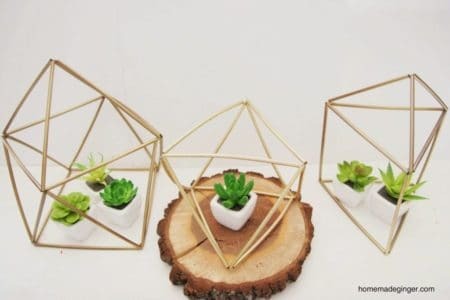 Believe it or not, these DIY planters are made with straws and wire! 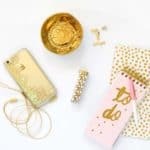 Get in on the geometric home decor train with this super easy and frugal craft! 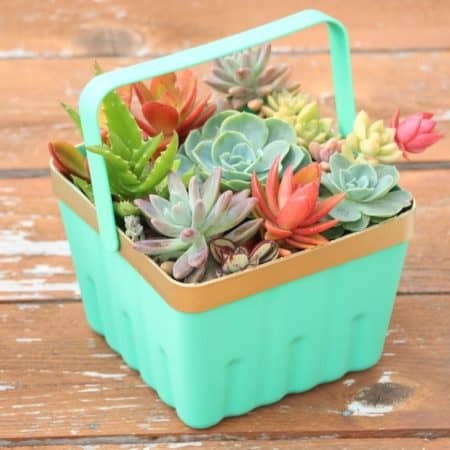 This simple berry basket succulent planter makes the cutest little spring centerpiece ever! 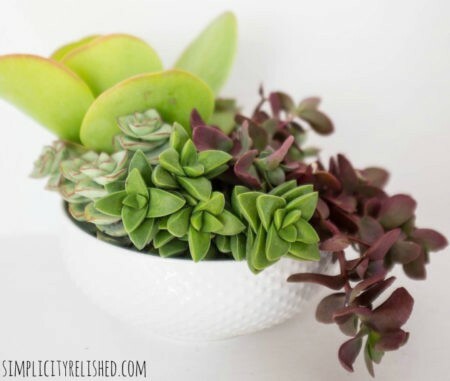 Learn how to plant a succulent garden in a bowl – way easier than you think! 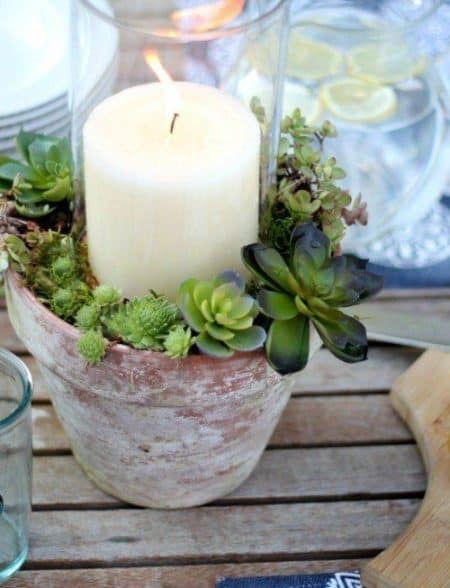 If you love succulents and wood then check out this super cute DIY Succulent Centerpiece. 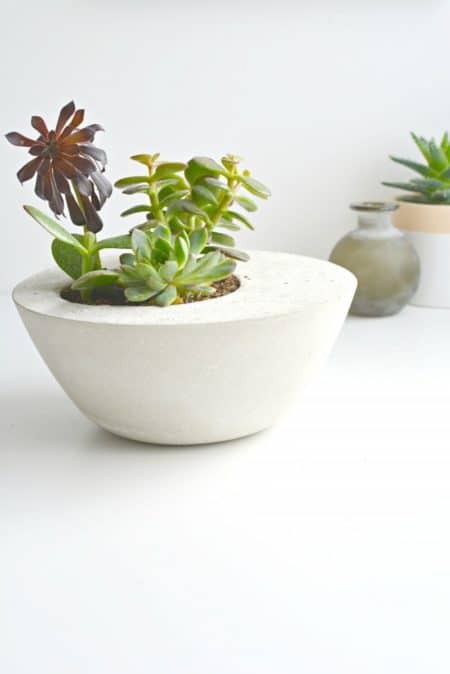 Beautifully simple, these concrete planters make a perfect home for your succulents! Here’s a simple centerpiece to create that can easily be adapted for your different summertime tablescapes. 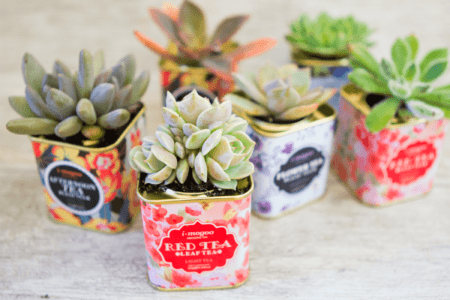 Use vintage tea tins as planters for your favorite succulents. 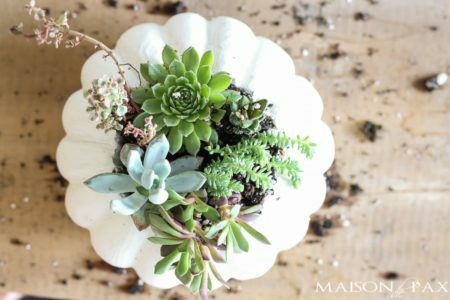 For a super simple, easy fall decor, grab a pumpkin container and make some adorable fall succulent planters! 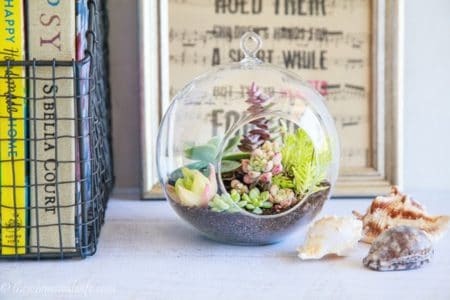 How To Make A Succulent Terrarium: make your own eye catching terrarium. 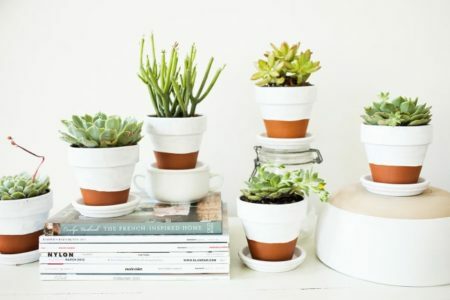 It’s a great way to bring a bit of living colour into a space and by using succulents you are setting yourself up for keeping these plants alive. 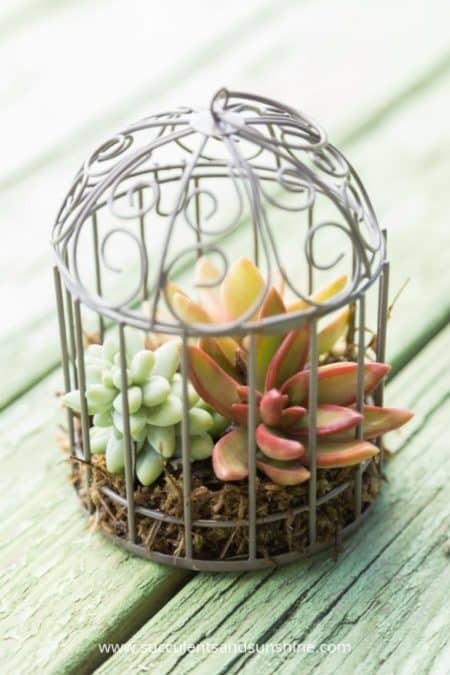 You’re likely aware that succulents are cute in anything, but these miniature succulent bird cages are to die for! 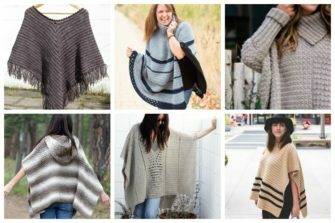 Find out how to make your own! 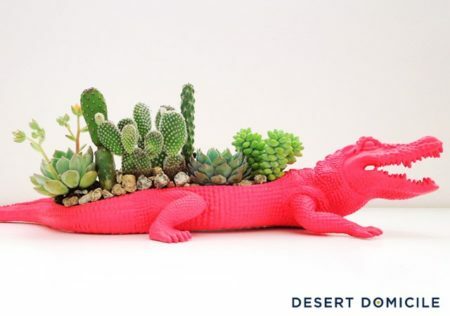 You could give your mom, sister, cousin, or best friend, this super fun crocodile planter filled with gorgeous succulents. 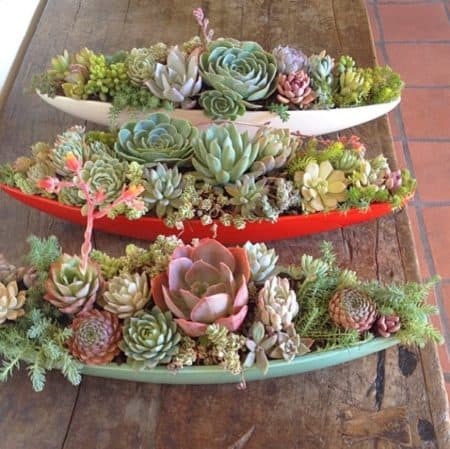 With their flower-like shapes and jewel-toned colors, these unthirsty plants make a stunning living centerpiece, especially in these boat-shaped planters. 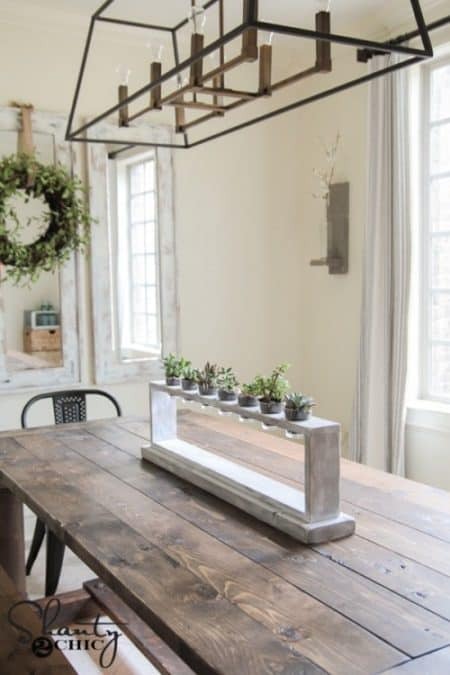 If you love the idea of having succulents as decor in your home but aren’t much of a DIYer, we’ve handpicked some beautiful planters for you – the Hanging Glass Prism Plant Terrarium Tabletop Succulent Planter, the Teardrop Design Clear Glass Globe Succulent Planter, and the Umbra Trigg Hanging Succulent Container.